For many, the idea of a career in accounting is very appealing, but it is not an easy road to take. There are very strict requirements that must be met, most importantly, education. If you are planning on going the whole way with accounting and qualifying for your certified public accountant (CPA) licence, you must be very good at accounting. 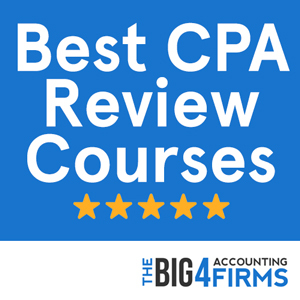 In order to gain the knowledge and expertise to become a CPA you will require a good education that challenges you to learn some very complex financial concepts. The CPA exam is extremely difficult, so you must choose your schooling carefully. Be sure to put a lot of time into your research when looking for the right accounting program for you. Check the program’s website. What kinds of courses do they offer? Do they tailor their program to prepare students for their CPA? Do they have an accelerated program? Are their faculty any good? You can contact the school for more information or even to arrange a tour to see for yourself. It also wouldn’t hurt to get into contact with a current or former student and to hear what they have to say about their experience there. Finding the right school is very important and should not be done at the last minute, as this is your future. Every state has its own requirements for becoming a CPA. While most states are similar in their requirements, it’s important to check the list for whichever state you are hoping to practice in. The most important thing is education. Most states require that you complete a minimum bachelors degree with 150 semester hours. A certain number of those hours must be in accounting courses while another amount must be in high level business courses. Once you’ve completed your schooling, you must take the infamous CPA exam. This exam is known to be very difficult to pass and boasts a very low pass rate. Almost half of all accounting students fail the exam. If you pass the exam, you must then take an ethics exam. On top of all this and your schooling, you will also need a certain number of hours of experience working in accounting, taxes, finance, management or other similar positions and your hours must be verified by a licensed CPA. Once you have met all of the requirements, you are eligible to apply for your CPA license. In Colorado, in order to qualify for your CPA license you have the choice of either entering with a mixture of education and experience or just education. For the former, you must have a minimum bachelor’s degree with twenty four semester hours in accounting, three semester hours in audit, and twenty one semester hours in general business related courses, with no more than six hours in any subject. You must also have a minimum of one year or 1800 hours in finance, accounting, taxes or other related services under the direct supervision of a licensed CPA. In order to enter with education alone, you must have a masters degree, doctoral degree, or bachelor’s degree with thirty additional semester hours. You must have thirty nine semester hours in accounting, six hours in audit, and thirty six hours in general business related courses with no more than nine hours in each subject. Money is often the motivator when people make important life decisions. Choosing your career carefully, you will want to make a decent wage. In the US, the average yearly income for a CPA is anywhere between $55,000 to $75,000 per year. In Colorado, the average salary for a CPA is $72,500 per year. This is not necessarily how much you would be making right away, but it is a ballpark figure for the average CPA. Your annual salary would depend on several factors including demand for your services, your level of expertise, what kind of company you work for, whether they are a larger company who can afford to pay you generously, or a smaller company with smaller purse strings, and if you work independently, you may charge as you see fit. 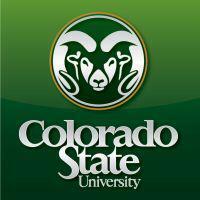 Colorado State University’s accounting program is within their College of Business. They have a very high success rate in job placement after the program. With much emphasis on research, this program offers students a comprehensive approach to complex financial concepts. In order to complete the required 150 semester hours for the CPA qualifications, it is advised that you speak with an academic advisor to help you fulfill your requirements. The accounting curriculum does meet the 150 semester hour educational background requirement for sitting the CPA exam. 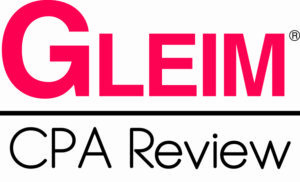 This program has been recognized as a good program choice for accounting students. According to the 32nd Annual Professors Survey of 2013, Colorado State University’s undergraduate program was ranked 43rd in the runner up list. It also placed number nineteen in the top 25 undergraduate schools with 16-21 full-time accounting faculty. University of Colorado placed number nineteen in the top 25 undergraduate schools with 15 or fewer full-time accounting faculty. Colorado State University Global Campus is also respected for its online accounting degree program that offers a BS in accounting. Colorado does not have that many programs, though some definitely are better than others. The University of Denver ranks 88th nationwide according to U.S. News. Its prestigious Daniels College of Business made the top spot in Colorado for both its undergraduate program and its part-time MBA in the 2013 Businessweek ranking. With additional recognition from sources such as Forbes, Princeton Review and Huffington Post, this AACSB-accredited school is a great place to kick-start your career as an accountant. Founded in 1908, the well established Daniels School of Accountancy at the University of Denver offers a major and a minor in Accounting as part of its Bachelor of Science in Business Administration program. Alternatively, students can opt for the competitive Bachelor of Science in Accountancy offering core business courses and in-depth knowledge of accounting topics. Students on the CPA track may pursue the unique 40-credit Master of Accountancy program. The degree plan consists of core accounting courses, accounting electives in valuation, taxation and IT, and Daniels Compass courses to give you a flavor of enterprise software and business ethics. The Daniels Master of Accountancy program boasts a 95% graduate employment rate including positions with the Big Four. What is more, motivated students wishing to fulfill CPA requirements faster may earn a Bachelor of Science and a Master of Accountancy within five years (226 credits) by enrolling on the intense 3/2 program. The Daniels College of Business also offers great opportunities for extracurricular experience. Students can get involved in accounting organizations such as Beta Alpha Psi and participate in community service (such as volunteer income tax assistance for low-income individuals and international students or accounting services for community events). Networking opportunities abound and a strong alumni network will ensure support even after you graduate. 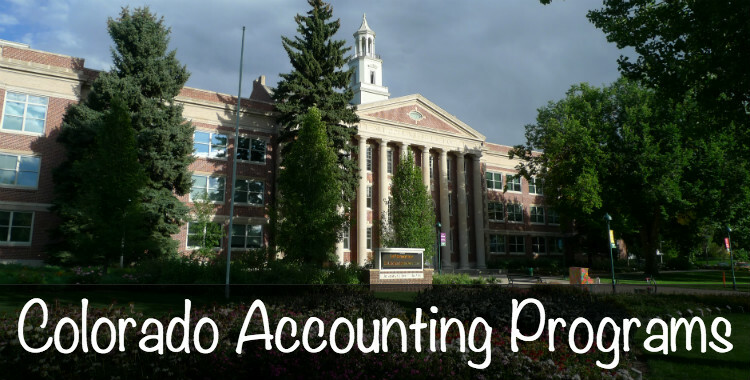 With an excellent reputation and professional connections and continuously accredited by AACSB since 1923, Daniels College of Business at the University of Denver has all the hallmarks of an excellent accounting program that can set you apart in a competitive business world. At the University of Miami’s School of Business Administration you can choose between four accounting degree programs. Ranked 48th among national universities and 96th among graduate business schools by U.S. News, this AACSB-accredited school can equip you with all the tools you need to make it as an accountant. Undergraduate students at the University of Miami may choose between a Bachelor of Business Administration with a major in Accounting (BBA) and a Bachelor of Science in Business Administration with a major in Accounting (BSBA). If you wish to fulfill CPA requirements, you can complete the required additional 30 credits through a Master’s degree in Accounting (with a focus on assurance or corporate accounting) or a Master of Science in Taxation. You can also complete one of these graduate degrees via an accelerated track that will allow you to sit for the CPA exam within 4.5 years. Finally, if your goal is to join the academia, you can apply for a PhD in Business Administration with a concentration in Accounting. Barry University ranks 252nd in the U.S. News High School Counselor Rankings. While it does not shine out in national rankings, the AACSB-accredited Andreas School of Business offers a good array of choices to prospective accountants, including an undergraduate degree in Business Administration, a Master in Accounting and a Master of Business Administration. Undergraduate students can pursue the Bachelor of Business Administration with a major in Accounting, while prospective CPAs can meet the CPA educational requirements by completing the Master of Science in Accounting. Merit scholarships are available for outstanding students applying for the Master of Science degree. The Andreas School of Business program prides itself on a focus on employability, with a wide range of societies to provide you with extracurricular experience. The Business Experience events organized by the school will allow you to network with major business leaders. This makes Barry University a good alternative to consider if you wish to study accounting in Miami.